“you or your” shall be assigned the same meaning as User. shall be given their same meaning and interpreted accordingly in the following document. 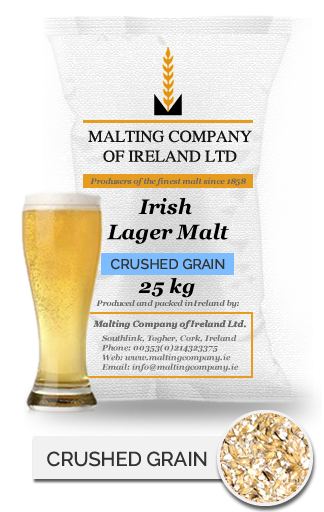 1.1 Welcome to the Website which is owned and operated by Malting Company of Ireland.  These Terms govern the use of or access to this Website by a User. 1.2 If you have any question relating to these Terms before you place an order, please contact our Customer Care Team by email info@maltingcompany.ie or call us on +353(0) 214323375 between 9am to 5pm (GMT) Monday to Friday. Our offices are closed on Saturday and Sunday and all Irish Public Holidays. 2.1 Please review these Terms carefully. By using the Website you agree to be bound by the Terms set out below. If you do not agree to be bound by these Terms you should not use the Website. 2.2 The Website is for use by people who are 18 years and over only. Please do not use the Website if you are under 18 years old. 3.1 We reserve the right to change and update the Terms of the Website from time to time and recommend that you revisit this page regularly to keep informed of the current Terms that apply to your use of the Website. By continuing to access, browse and use the Website, you will be deemed to have agreed to any changes or updates to the Terms. 3.3 The Prices and availability of any Products, services and promotions advertised on the Website are all subject to change and availability from time to time. 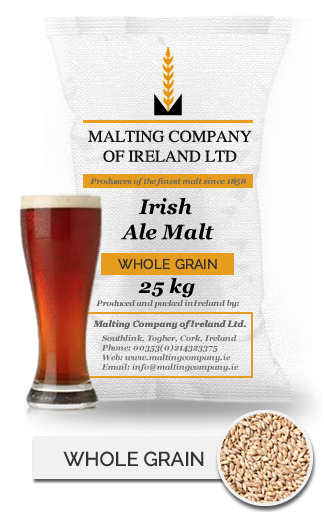 The Website is operated by Malting Company of Ireland with a registered office address at The Maltings, South Link, Togher, Cork, Ireland, Companies Registration Office No 273542 and VAT registration number IE 8273542 J. After placing an order, you will receive an Order Confirmation. Please note that this does not mean that your order has been accepted. Your order constitutes an offer to us to buy a Product. All orders are subject to acceptance by us, and we will confirm such acceptance to you by sending you Dispatch Confirmation. The Contract will only be formed when we send you the Dispatch Confirmation. At any point up until then, we may decline to supply the Products to you without giving any reason. The Contract will relate only to those Products whose dispatch we have confirmed in the Dispatch Confirmation. 7.1 The Price for the Products will be as stipulated at the time when you place your order on the Website. The Website displays a price exclusive of VAT. Once the Product is selected for purchase the Price shown is inclusive of VAT. Delivery costs, if applicable will be additional to the Price. (For further information our Delivery and Returns Policy). We are entitled to make adjustments to the Price from time to time to take account of any increase in our supplier’s prices, or the imposition of any new taxes or duties, or if due to an error or omission the Price for the Products is wrong. We are also entitled to make adjustments to the Price of Products during sale time and introduce promotions on Products without notice. 7.2 We do our best to make sure that Prices are correctly shown but very occasionally an error may occur. If this should happen, we will correct the Price and ask you to confirm whether you still wish to purchase the Products at the correct Price. If we are unable to contact you, we will treat the order as cancelled. We will not accept an order if there is a pricing error. Payment may be made by the methods indicated on the Website and monies will be debited at the point of Order Confirmation. outside of our control. Any dates specified for delivery are therefore approximate only. If delivery is delayed for more than 28 days, you have the right to contact us and refuse to accept the Products. In these circumstances, we will refund any money paid by you for those Products and any delivery monies you have been charged. However, we will not be responsible for any other losses, costs, damages or charges that you may suffer if we delay in supplying or do not supply those Products. At the time of delivery you will be required to sign-off on the delivery of the Products, after which time the Products become your sole responsibility. (For further information please see Delivery and Returns Policy). 10.1 Ownership of the Products will only pass to you when we receive full payment of all sums due in respect of the Products, including delivery charges. 10.2 Where the customer is a Consumer costs and all risks of loss are transferred when the customer acquires physical possession of the Products. 10.3 Where the customer is not a Consumer costs and all risks of loss are transferred to you at the time of dispatch of the Products from Malting Company of Ireland’s premises. If delivery is delayed by the customer, transfer of costs and risk of loss shall become effective when the Products are ready for dispatch. 11.1 Given the perishable nature of the Products, any person contracting as a Consumer is not entitled to a cooling off period. For further information see our Delivery and Returns Policy. 11.2 Your statutory rights are not affected. If any Product is damaged and/or faulty upon receipt or in the unlikely event that you received the wrong Product please contact us within 24 hours of receipt of the Product and we will arrange a replacement or refund in accordance with our Delivery and Returns Policy. Malting Company of Ireland to you. 13.2 All other warranties, conditions or terms relating to the Products (other than those provided for in Section 12 of the Sale of Goods Act 1893), whether implied by statute or common law or otherwise, are excluded. The information contained in the Website is for information purposes only and, although we have made every effort to ensure the correctness of the information contained herein, the information available through the Website is provided “as is” and “as available” and without warranties or conditions of any kind either express or implied (including without limitation, the accuracy, completeness or merchantability, quality or fitness for any particular purpose). 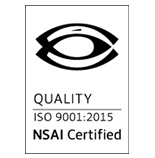 We do not warrant or represent that the use or the results of the use of the Products available through the Website or from third parties will be correct, accurate timely, reliable or otherwise. We accept no liability in relation to any of the above other than as may be provided for under your statutory rights. Our liability in connection with any Product is strictly limited to the Price of that Product. Nothing in this paragraph will affect your statutory rights as a consumer. 17.1 We shall not be liable for any failure to perform any of our obligations under these terms and conditions which is caused by circumstances beyond our reasonable control including but not limited to any Force Majeure incident. You agree to abide by all Applicable Laws. 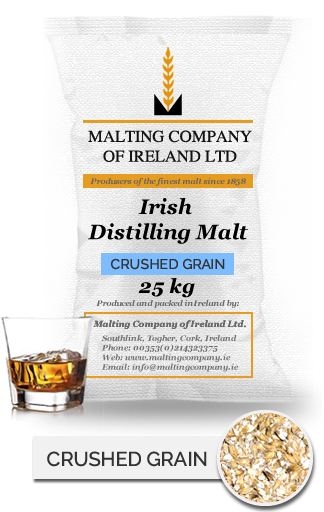 All information, designs, drawings and other specifications provided on the Website are the exclusive property of Malting Company of Ireland. Any copying, transmission or re-transmission of the same requires the prior written approval of Malting Company of Ireland. We reserve the right at all times to place advertisements and promotions on the Website. Advertisers and sponsors on the Website are solely responsible for complying with all local, national, state and international laws (where relevant) and we exclude all liability howsoever caused therefrom to the maximum extent permitted by applicable law. You are entirely responsible for any and all activities that occur under your use of the Website, together with your account. You agree to notify us immediately of any unauthorised use or any other breach of security. If any instructions are provided with the Products, you agree to read and follow carefully all the terms contained therein at all times. Any information contained on the Website is not meant to be comprehensive and if you are inexperienced in using the Products or are unsure of your abilities, you should always seek expert advice and assistance. A qualified expert should be used where appropriate. To provide increased value to our Users, we may provide links to other websites or resources for you to access at your sole discretion. You acknowledge and agree that, if you choose to enter the linked website we are not responsible for the availability of such external sites or resources, and do not review or endorse and are not responsible or liable, directly or indirectly, for (i) the privacy practices of such websites, (ii) the content of such websites, including (without limitation) any advertising, content, products, goods or other materials or services on or available from such websites or resources or (iii) the use to which others make of these websites or resources, nor for any damage, loss or offence caused or alleged to be caused by, or in connection with, the use of or reliance on any such advertising, content, products, goods or other materials or services available on such external websites or resources. If any of the Terms is or becomes illegal, invalid or unenforceable in any jurisdiction, that shall not affect the legality, validity or enforceability of any other of the Terms. All Contracts in respect of, or in relation to, or in connection with, the Products and any non-contractual obligations arising out of or in connection with any such Contracts are governed by and shall be construed in accordance with the laws of Ireland. 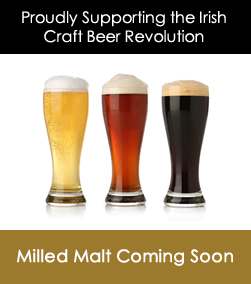 For the benefit of Malting Company of Ireland, you hereby agree that the courts of Ireland shall have exclusive jurisdiction to hear and determine any suit, action or proceedings, and to settle any disputes, which may arise out of or in connection with the Products or their sale to and purchase by you and, for such purposes, you irrevocably submit to the jurisdiction of the courts of Ireland. We may terminate the Website with or without cause at any time and same will be effective immediately. In addition, we, in our sole discretion, may terminate your Account for violation of the letter or spirit of these Terms.